If you are thinking about participating in a peaceful protest demonstration, take some precautions because anytime you can get into a difficult situation. It is common practice for governments to embed provocateurs among the demonstrators and at some point begin to instigate violence in order to demonize peaceful demonstrators in the media, as well as an excuse to send riot troops busting heads. This has happened in demonstrations around the world and this tactic has not gone out of fashion. How do you deal with rubber bullets, tear gas and other artifacts whizzing around you and how hundreds of extras from Mad Max run as a flock towards you? Below I provide some real tips and advice to stay as safe as possible if you suddenly find yourself in a war zone. When riot police makes an appearance at a rally you will quickly realize that they come “ready to rumble”. Usually wear helmets, face shields, gas masks, chest protectors, elbow pads, knee pads and shin guards, and combat boots. In addition, carry shields, batons, guns, radios, medical kits, shotguns. Meanwhile, you are wearing a shirt and flip-flops. So the first tip is to dress for the occasion. 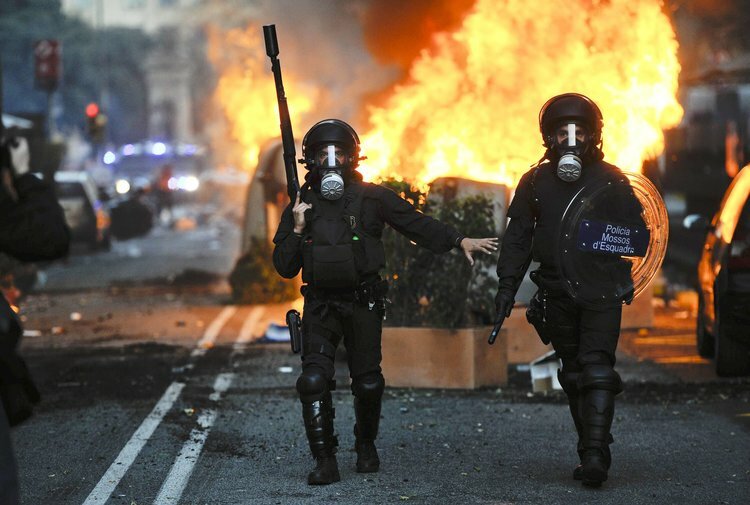 Long pants and long sleeves to reduce skin exposure to the weapons / gases used by riot police. Use only cotton and wool. Natural fibers are resistant to fire, while synthetic materials are highly flammable and can burn easily. If these materials burn, melt, stick to skin, they can not be removed without removing the skin itself. Check out comfy cotton combat pants at Amazon. A bicycle helmet can be a good protector if stones are launched and you are in the line of fire. It is also useful to protect against attacks by the police. Check out the wide variety of bicycle helmets at Amazon. In your backpack, carry a book, set in the pocket that is as close to back straps, and has a hardcover and good size. Can be used to protect your body from rubber bullets, plus you can use it as a shield by placing his forearm between the belts and holding backpack as a shield in front of you, so you can escape the rain of shells and rubber bullets. Handkerchief can be used for emergency bandage as a sweatband, a makeshift mask, or a small towel. 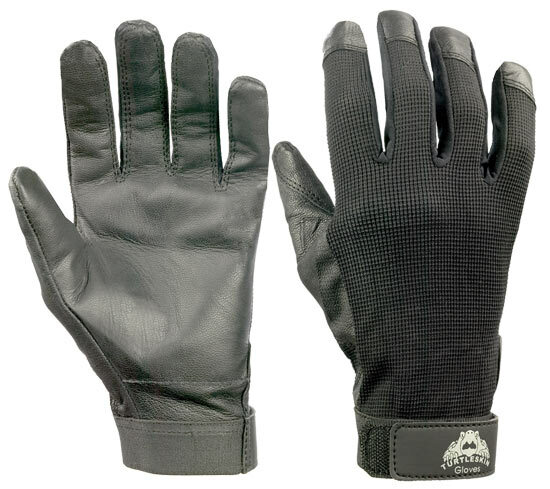 Work gloves to protect your hands if you must go through broken windows or other debris from sharp edges that may have occurred during the riots. Wearing gloves can help prevent burns if you were exposed to tear gas. Work boots or Hiking boots, or at least footwear that protects the feet and ankles, in case you need to pass through from broken glass, debris and will also help you climb over barriers. Check out these tough hiking boots at Amazon. Protective goggles. They are primarily used in racquet sports. They serve to protect the rubber bullets and fragments of tear gas canisters. The riot police are usually well equipped and it’s a good idea to take certain other items. 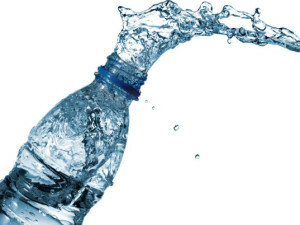 Water: You can dehydrate quickly and may not have access to water. The shops may be closed due to the fear of riots and police may block access to the public fountains and restrooms. Should bring at least 2 bottles, and twice if the temperatures are very high. 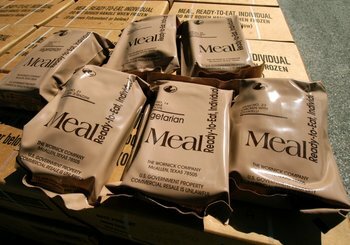 Energy food: Physical effort involved can quickly consume your reserves of glucose and make you feel nauseated. Consume some energy foods occasionally so as to maintain your blood sugar levels. 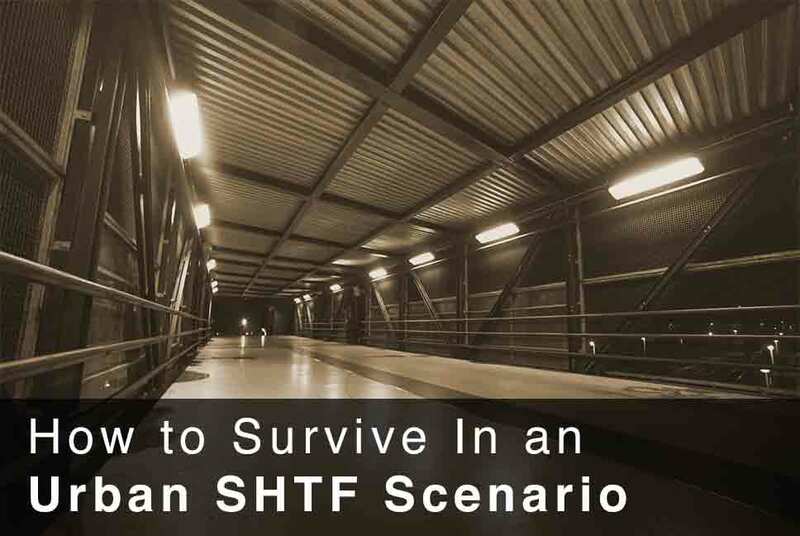 Mobile: The best way to ask for help in an urban SHTF scenario. First aid kit: For treatment of minor injuries, such as cuts or blisters, and compresses to treat injuries from rubber bullets and baton blows. Flashlight: If you have to travel at night and have no access to light. Better yet a stun gun flashlight will add another layer of protection. Tactical Pen: Having some form of self-defense weapon such as a tactical pen can help to fend off attackers. Money to pay for public transport or to order a taxi. 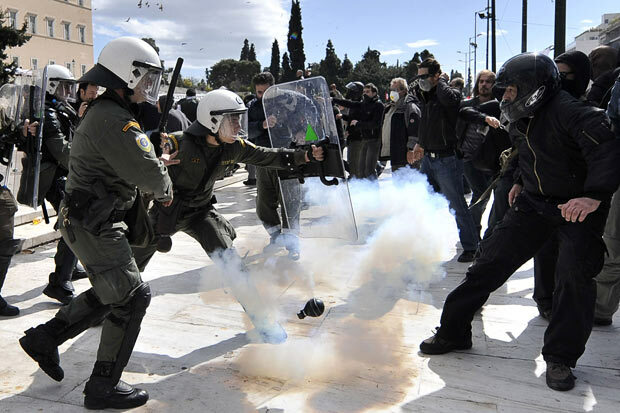 Mask: To filter gases and other substances used by riot police. ID: In case you are arrested or detained, you must provide photo ID, which can facilitate your release. 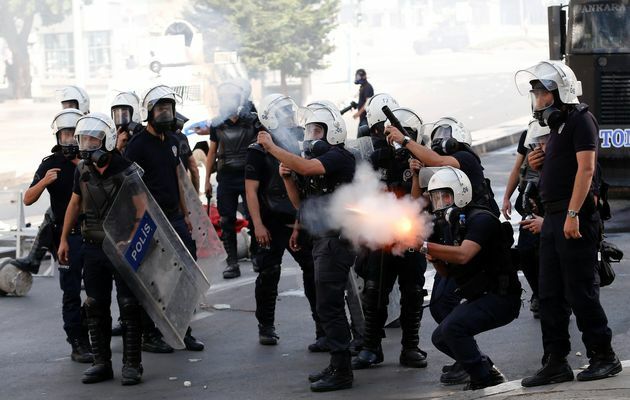 We refer to gases commonly known as tear gas or pepper spray. Exposure to these gases can damage the skin, nostrils, irritate eyes, cause nausea and induce breathing difficulties. In rare cases can cause health complications in the long term, such as blindness or even death. The effects usually last at least half an hour, but the consequences are very annoying. The first defense is to try to be out of the firing line, facing away from the police. If chemicals are emitted near you, the first thing to do is run the other way and try to find a place where you can breathe fresh air. If you are inside a building and these gases are released inside, should try to get out as quickly as possible. These chemicals dissipate more slowly than outside, and high concentrations can be very dangerous if exposure is prolonged. Go to a higher ground such as terrace, as these gases are heavier than air and concentrated in larger amounts in the lower floor. If you are caught in a cloud of smoke, soak the handkerchief with a little apple cider vinegar or lemon juice , cover your mouth and nose with it. Remember to keep these products in your backpack. Finally, avoid sunscreen creams or oil-based, since the absorption of these gases is possible. If these chemicals are inhaled, follow decontamination procedures. In emergency situations, dried powder, such as flour, baking soda, detergent or sandy soil can be used to reduce the amount of chemical that is absorbed through the skin. Try to behave in the most unobtrusive way possible, moving slowly and carefully outwards from the crowd. Stay close to walls or other barriers, if possible. Enter indoors if you can: a retail store, an office building or a cafe. Look for a rear exit of these buildings giving access to other streets, away from the police or rioters, and carefully walking home. It can be dangerous to run against the “flow”, so it’s best to go with the flow of people. It can also be an advantage to stay in the crowd until you are sure you can escape safely since the crowd can go unnoticed and increase your chances of survival in case of a firing or any other scenario. Furthermore, the police may have put barricades at side and stop anyone who tries to escape the crowds. You’re not the only person who wants to cross a police barrier. Avoid public transport. Buses, metro and trams are probably out of service, and stations will be crowded. Even if you manage to use public transport, protesters can stop it. Subway stations are not suitable to be in these circumstances because it is a place where escape is difficult and because the chemicals used are heavier than air and may accumulate there. Protesting into a police state can be dangerous, even in the exercise of basic human rights. 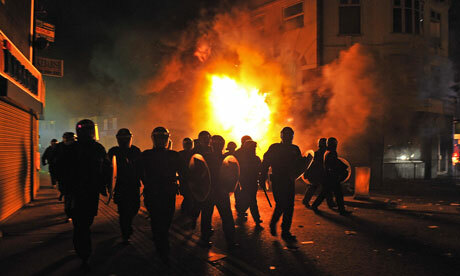 You can’t trust the unstable elements within the police, who instigate violence and prepare police charges. So if you ever get caught up in an Urban SHTF scenario, protect yourself and your companions with these tips and come prepared. Always. Hi fellow survivalists, Maximus here. 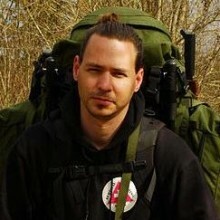 I am a bug out gear addict and I blog regularly on http://bestbugoutbagz.com. You can also find me on Facebook here.